During the last Wisconsin glaciation the advance of the Grantsburg sublobe blocked drainage, resulting in the formation of Glacial Lake Grantsburg. Natural succession eventually formed the extensive peat marshes known today as Crex Meadows. 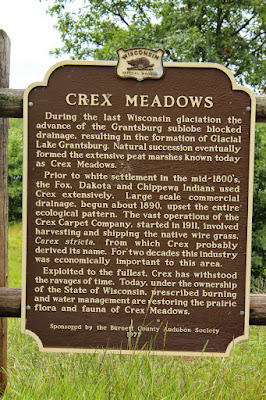 Prior to white settlement in the mid-1800's the Fox, Dakota and Chippewa Indians used Crex extensively. Large scale commercial drainage, begun about 1890, upset the entire ecological pattern. 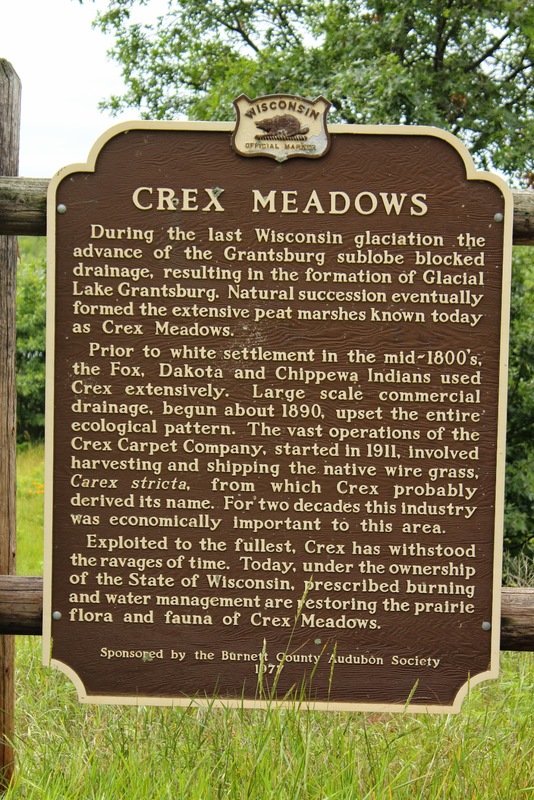 The vast operations of the Crex Carpet Company, started in 1911, involved harvesting and shipping the native wire grass, Carex stricta, from which Crex probably derived its name. For two decades this industry was economically important to this area. Exploited to the fullest, Crex has withstood the ravages of time. Today, under the ownership of the State of Wisconsin, prescribed burning and water management are restoring the prairie flora and fauna of Crex Meadows. 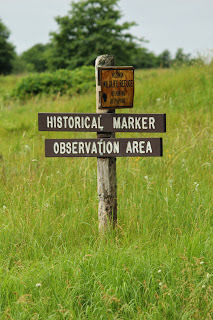 The marker is located on North Refugee Road, east of its intersection with Currey Road, in West Marshland, Wisconsin 54840. NOTE: This marker is in a very remote location. 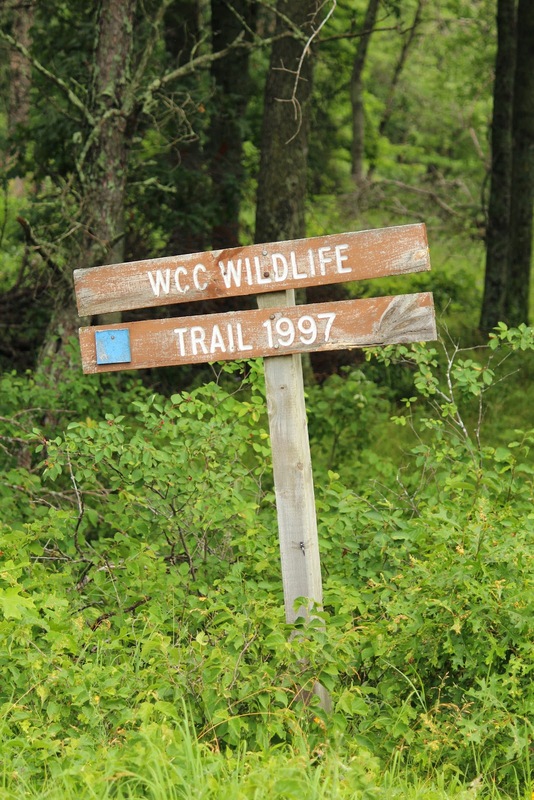 See below for more information about accessing this marker in the middle of 30,000 acres of wildlife preserve. When I arrived, County F was closed because of a sinkhole. So what do you do when the road's closed!? 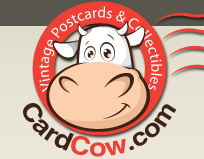 for help and discover a goldmine of helpful staff and information! If you're on you way to Marker 241, you will definitely want to stop at the Crex Meadows Wildlife Education and Visitor Center. First, you're going into a remote -- very remote -- area. 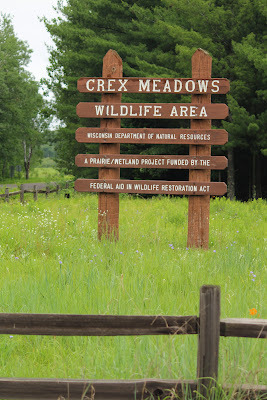 At 30,000 acres, Crex Meadows is one of the largest state-owned wildlife areas in Wisconsin. So, if you're travelling alone, like I was, it's a good place to "check in". 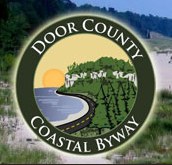 Secondly, if County Road F is closed, or if you just want to that the more scenic (and I mean very scenic and remote) route, you're going to need a map to locate the marker. The staff at the Crex Meadows Wildlife Education and Visitor Center have that map, and they'll highlight the route to Marker 241. My TomTom did okay in the middle of the boonies, but I still needed to refer to the map a couple of times; I was sure grateful to have it! Thirdly, the Crex Meadows Wildlife Education and Visitor Center is full of interesting stuff, including museum-quality artifacts, two Blue-ray DVDs featuring Crex Meadows and its wildlife, a habitat diorama, a replica of a 1930's era hunting shack complete with items that would be found in a hunting shack, mounts of ducks, owls, and other wildlife that may be found in the area, and handouts of maps and pamphlets about Crex Meadows. Give yourself at least an hour to explore all there is to see. 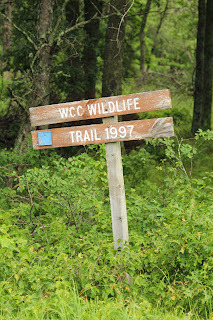 Finally, the Crex Meadows Wildlife Education and Visitor Center is a non-profit 501(c)(3) corporation. There's also a cool gift shop at the Center. Every little bit of support helps to preserve Crex Meadows. 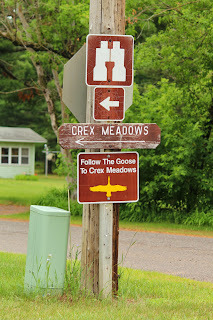 On the way to Crex Meadows marker . . .